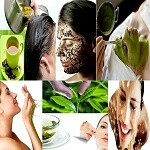 Many Clinical and Laboratory research has proved that ‘Organic Green Tea Leaves’ contain high amounts of anti-oxidants this is so great to get treated from harmful particles in the body and face that contain to aging and various notice and unnoticed diseases in the body and face with small tissue and vessels. It is also called as free radicals. High altitude teas have more flavor than low altitude teas. 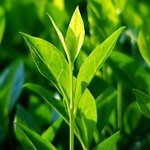 Green Organic Teas grown in High altitude are regarded as the best Green Teas in the World. Young Tea bushes yield better quality than those of older bushes. Nepali Tea bushes are young and are grown in high altitude. Tea bushes love warm and humid climate with plenty of rainfall. Nepal’s 70% of the land is hill area having those climatic conditions. Nepal is the home of Mt. Everest, and the Himalayas – 8 of 10 highest mountains in the world watch-over Nepal’s land. Many medicinal herbs found at the foothill of Himalayas are considered to be the purest and best in the world. Tea is not an exception. A drink, a food, a herb, call it what-ever you like, it can cure your illness, make friends or be among your enemies and be friends back again! 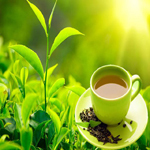 Tea contains Antioxidant, a chemical substance which helps our body fight with diseases such as cancer. There has not been enough research on Nepalese Himalayan Tea, but many believe that Teas grown in High altitude abundant of warm and rainy growing conditions yield better tea quality and Antioxidant values than those grown at lower altitude. Earth’s high altitude lands are less polluted than low altitude lands. It is generally believed that if a plant can be grown organically at high altitude it does better. You will hear this when you enter someone’s home or even when crossing it by. For all of us, tea has always been our most consumed beverage after water. Nepal ranks 25th in the world in terms of bio-diversity elevation ranging from 600 meter to the highest altitude of earth, 8,848 Meter exists here with abundant favorable climates and soil conditions for growing tea. 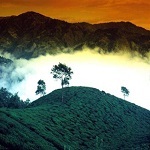 Nepal has excellent climatic conditions for not only growing tea but also for coffee. Most Nepali Teas produced for export purpose are called Orthodox, also named as the Himalayan Orthodox Tea. The name says it all, doesn’t it? Nepali Tea estates and gardens are the immediate neighbors of the mighty Himalayan Range. Nepali Organic Orthodox Teas are First Flush (FTGFOP I), STGFOP I (Silver Tippy Golden Flowery Orange Pekoe). Don’t they have cute names ? The naming system tells us about the tea’s color, shape, size, aroma and and a whole lot and more, doesn’t it? Based on grades, here are more Nepali Orthodox Teas : TGFOP,, GFOP, FOP, OP, BOP Other Teas are also slowly being produced and marketed such as Nepali Green Tea. Nepali Tea bushes are grown at high altitude ranging from 3,000 feet to all the way up to 7,325 feet. The highest tea garden of Nepal is Guranse, which is located at an elevation of 7325ft in Dhankuta region and is owned by Guranse Tea estate. 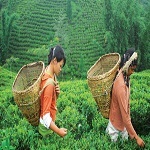 Currently main tea growing areas in Nepal are Jhapa, Illam, Panchthar and Dhankuta. 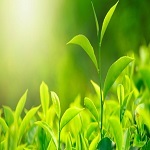 Teas are produced from pure agricultural soil, biologically and ecologically balanced methods. No wonder Tea awards are lined up for Nepalese Tea. Guranse Tea wins China Expo 1999 award for superb taste, aroma, infusion and character. Although Nepal has as much as 80% of it’s land good enough to grow tea, these are currently the locations where teas are grown. 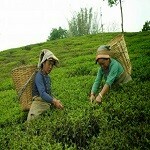 Tea production is increasing by 15% every year. 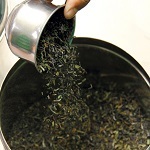 Nepal produces over 6 million Kilograms (13.23 Million Pounds) of Tea a year. You must be in aware that used tea (after drink) can also be used for facial purpose it helps for autoxidation and shining skin, fight for germs as well help to heal small holes and black and gray freckles/patches. For further to know more please contact us.